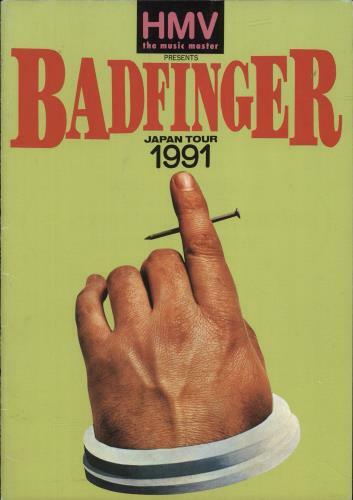 BADFINGER Japan Tour 1991 (Rare 1991 Japanese 10"x7" Tour programme sponsored by HMV, featuring photographs from throughout their career including a discography, all text in Japanese. The cover has just the lightest edgewear with all pages remaining near as new. ).